Is Independent Living a Priority for You? Where will you be in 2030? Well, if you turn 52 years old in 2017, you’ll be one of nearly 73 million Americans aged 65 or older. That’s a lot of Americans all thinking about what it will take to secure a graceful and financially secure age-in-place strategy. AARP found that over 85% of Americans want to stay in their current residence and community for as long as possible. They want to enjoy and stay connected with friends, family, neighbors, service and faith organizations. These connections can also provide much needed support and comfort during short-term hardship, illness or when needing medical care. Research also finds that many people haven’t planned for the years after they’ve stopped working. Financial and health stability go hand in hand. A chronic illness, long-term care needs or suddenly becoming a primary caregiver for a family member can really wreak financial havoc if not considered seriously. This results in the difference between a financially secure future versus growing older in poverty. So, what it will take for you to successfully age in place? Make yourself AWARE of your financial resources, such as Social Security, pensions, personal investment, savings, home equity and insurance. You will then be able to determine whether you will be able to meet your monthly expenses and your goal of staying in your current home and community. Meet with a financial planner to go over these items and you will have better information to make wise choices. 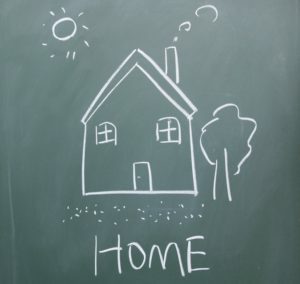 If maintaining the costs of your home (mortgage, mortgage insurance, property taxes, home owners insurance, association fees, utilities, repairs, housekeeping and gardening expenses) isn’t feasible with your current assets, you may have to consider downsizing and possibly relocating. Downsizing can reduce living expenses by 30% and may be one solution to the problem of staying in your current community. Be sure to consult with your financial advisor for a realistic assessment of your current situation. And bring your family members into the conversation. After all, your situation impacts your loved ones too!